Miami Dolphins players are used to warm breezes and 80 degree temperatures. 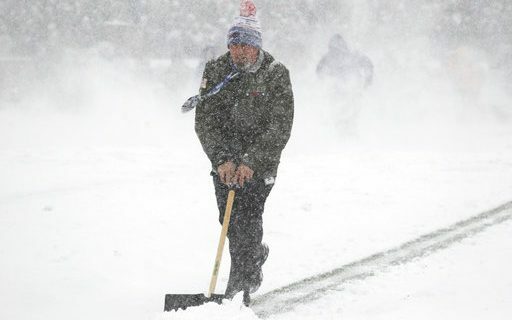 How will they respond to cold winds, snow and 20 degree temperatures in Orchard Park on Sunday? Sports humorist Jeff Wozer discovered that they’re not too excited about it, and found their top complaints about playing in Buffalo. – Bills players breaths reek of Swiss Miss. – Football pants lack pockets for carrying Chapstick. – Sideline Gatorade buckets do a lousy job keeping pumpkin spice lattes hot beyond the first quarter. – Can’t understand how Bose headphones can look so dope yet ear muffs can look so lame. – During pregame Christmas cookie exchange Bills players always hand us store-bought cookies. – Cold air slows Injury Protocol Tent’s WiFi speed. – Seeing his breath causes Ndamukong Suh to freak out thinking his mouth is haunted with ghosts. – Buffalo airport doesn’t sell chains for luggage wheels. – Cold air makes quarterback Jay Cutler’s sulking sideline personality feel that much colder. – Ice melt from frozen dreadlocks drips for weeks. – Bourbon ball Christmas cookies fall under the league’s substance abuse policy. For more of Jeff Wozer’s comedy style, including his recent thoughts on the Sabres, visit his author’s section at Buffalo Sports Page.